Australia comprises a land area of almost 7.7 million square kilometres (sq km). The bulk of the Australian land mass lies between latitudes 10 degrees 41 minutes (10° 41′) south (Cape York, Queensland) and 43° 38′ south (South East Cape, Tasmania) and between longitudes 113° 09′ east (Steep Point, Western Australia) and 153° 38′ east (Cape Byron, New South Wales). 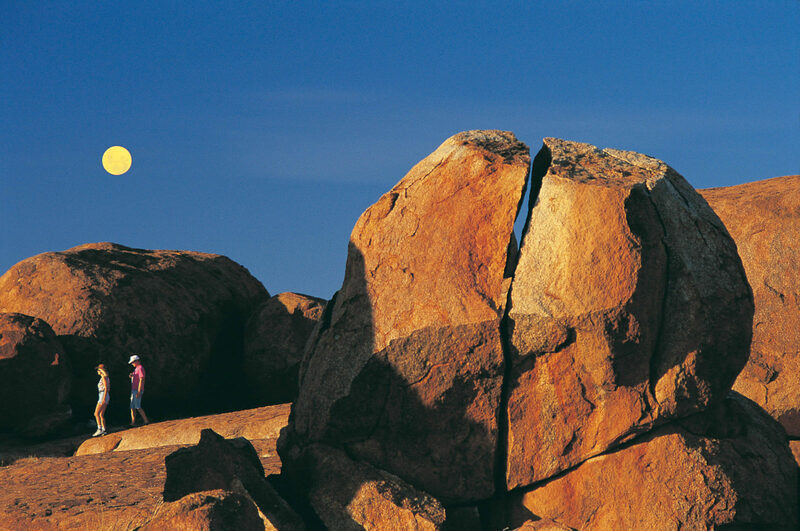 The most southerly point on the mainland is South Point (Wilson’s Promontory, Victoria) 39° 08′ south. The latitudinal distance between Cape York and South Point is about 3,180 kilometres (km), while the latitudinal distance between Cape York and South East Cape is 3,680 km. The longitudinal distance between Steep Point and Cape Byron is about 4,000 km. In a jurisdictional and economic sense, however, Australia extends far beyond this land mass. The state of Tasmania includes numerous small islands and extends to Macquarie Island which lies approximately 1,470 km south east of the main island. The territories of Australia include the Australian Antarctic Territory, Christmas Island, the Cocos Islands, Heard Island, the McDonald Islands, Norfolk Island, the Coral Sea Islands, Ashmore Island, and Cartier Island. In total there are some 12,000 islands. While most of these islands are small, the United Nations Convention on the Law of the Sea allows Australia jurisdiction over large tracts of the ocean and seafloor that surround them. Australia has an Exclusive Economic Zone that is 200 nautical miles wide (370.4 km). This is measured from the lowest astronomical tide – the lowest level that sea level can be predicted to fall to, under normal meteorological conditions. The Exclusive Economic Zone gives Australia jurisdiction over a marine area of some 10 million sq km. The land area of Australia is almost as great as that of the United States of America (excluding Alaska), about 50% greater than Europe (excluding the former USSR) and 32 times greater than the United Kingdom. 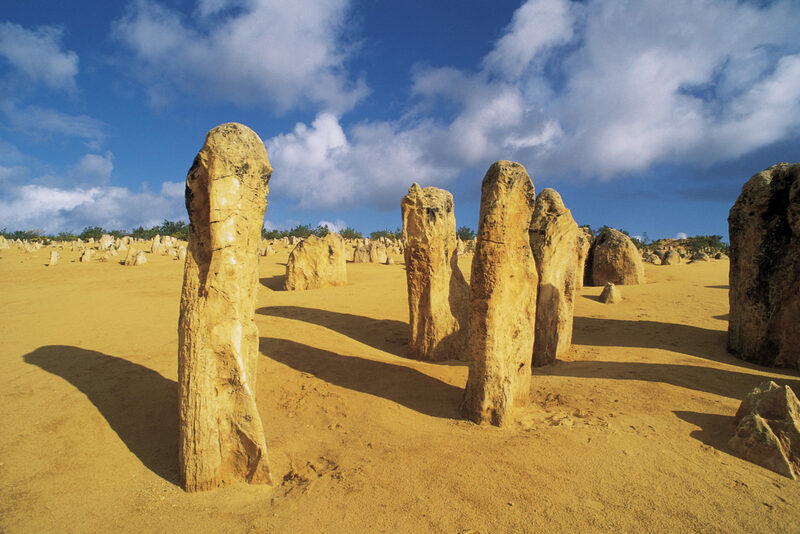 Australia is the lowest, flattest and, apart from Antarctica, the driest of the continents. Unlike Europe and North America, where some landscapes date back to around 20,000 years ago, when great ice sheets retreated, the age of landforms in Australia is generally measured in many millions of years. This gives Australia a very distinctive physical geography. Much of the centre of Australia is flat, but there are numerous ranges (e.g. Macdonnells, Musgrave) and some individual mountains of which Uluru (Ayers Rock) is probably the best known. Faulting and folding in this area took place long ago. The area was worn to a plain, and the plain was uplifted and then eroded to form the modern ranges on today’s plain. In looking at Uluru, one remarkable thing is not so much how it got there, but that so much has been eroded from all around to leave it there. The Australian landforms of today are thus seen to result from long continued processes in a unique setting, giving rise to typical Australian landscapes, which in turn provide the physical basis for the distribution and nature of biological and human activity in Australia. Australia is comparable in size to the continental United States. It is the world’s sixth-largest country by total area.